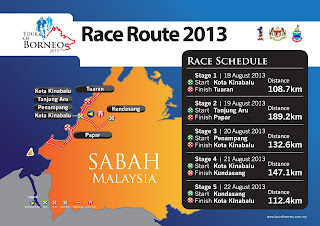 KOTA KINABALU, Tuesday 30 July 2013 - The second edition of the Tour of Borneo (ToB) is expected to be an even more exciting affair compared to its inaugural edition last year, though this time covering just the West Coast of Sabah. The organising committee have paid a courtesy call to Sabah Minister of Youth and Sports Datuk Tawfiq Abu Bakar Titingan last Thursday, in which the minister was thanked for his undivided support in communicating with the national Minister of Youth and Sports and the Ministry of Finance. 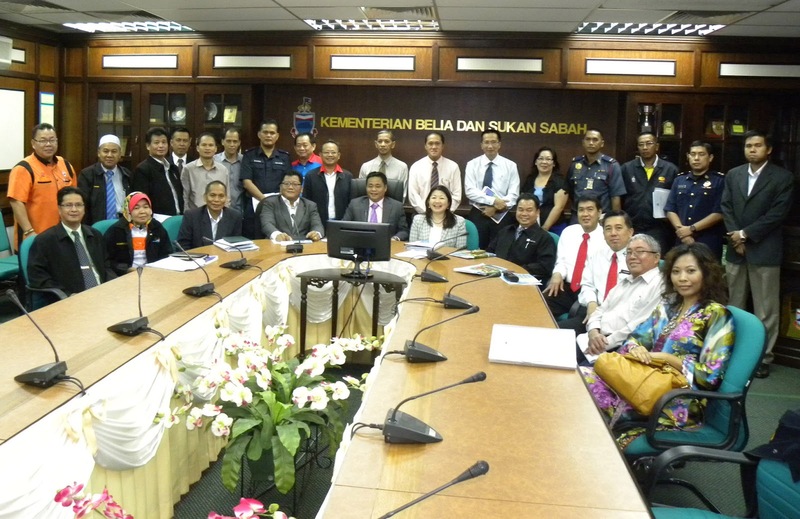 "The Ministry's undivided support has ensured that the Tour of Borneo has received sufficient funding from the government just like the Jelajah Malaysia and Le Tour de Langkawi," said ToB organising chairman Dato’ Fredie Sua. “After today’s final State steering committee meeting, chaired by Assistant Sabah Youth and Sports Minister, YB Masiung Banah, with permanent secretary Datuk Susanna Liaw and Deputy Permanent secretary Penyuki Mata, it will be all systems go for the Tour of Borneo." Datuk Tawfiq, during the meeting on Thursday, expressed his satisfaction at the level of orgaisation and the presence of ten UCI Continental teams, 4 national teams and 6 state and club teams competing in this edition of the race. "We will have teams from Australia, Azerbaijan, Ireland, Iran, Bahrain, Uzbekistan, Japan, Hong Kong, Taiwan, Singapore, Indonesia, Brunei and the Philippines competing against our local champions," added Dato’ Fredie. The second edition of the Tour of Borneo, a UCI2.2 status race, will be centred around the picturesque capital city of Kota Kinabalu and will be taking the peloton to new destinations not covered in last year's race, like Kota Belud, Tuaran, Penampang, Tambunan, Putatan, Papar and Beaufort. 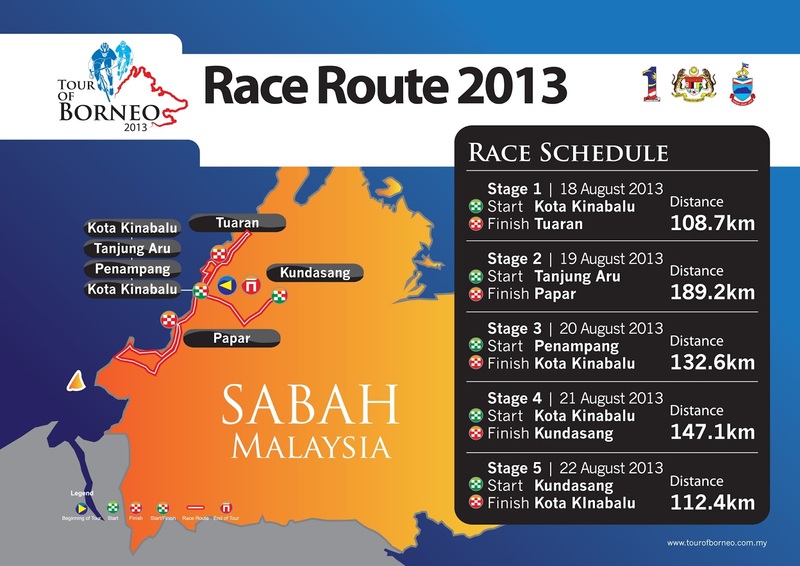 Riders will face a grueling climb in Stage 4 from Kota Kinabalu up to Kundasang. Last year's overall winner of the race was New Zealand's Michael Torckler of the Pure Black Racing team. The 2.2 category Tour is sanctioned by the International Cycling Union (UCI) and is listed in UCI Asian Tour calendar, it is hoped to promote Sabah as the ultimate sports tourism destination in Malaysia, and promote cycling in the state.